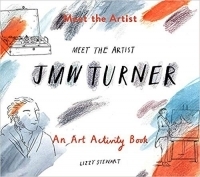 Meet the Artist: J. M. W. Turner is packed with inspiring activities for budding young artists. Create colorful Turneresque landscapes and seascapes, experiment with watercolors, and paint portraits of your friends and family. Starting with a brief introduction to the life of J. M. W. Turner (1775–1851), an English painter known for his evocative land- and seascapes, the book offers a series of drawing-based activities that explore prominent themes and ideas in the artist’s work. 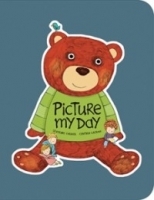 Featuring beautiful reproductions of actual artworks and illustrated by a leading contemporary illustrator, this book, like all titles in the Meet the Artist series, encourages children to use art as an avenue for exploring ideas and expressing their own experiences.